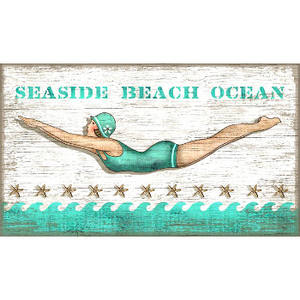 Customize your beach sign and replace the line "SEASIDE BEACH OCEAN" with your own words. In the space provided you can include up to 19 letters and spaces. If you DO NOT want to customize the sign simply type " LEAVE BLANK " in the customize box. Suzanne Nicoll's wonder image of a diving girl printed directly to a distressed wood panel that has knots and other imperfections. 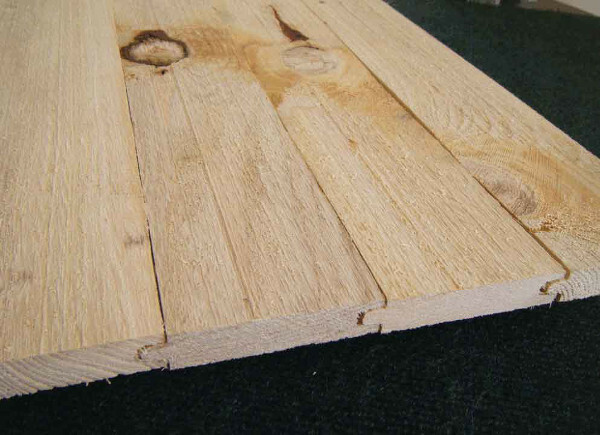 We end up printing right over these imperfections which gives each panel interesting texture and character. No two are the same! How adorable is this beach sign? 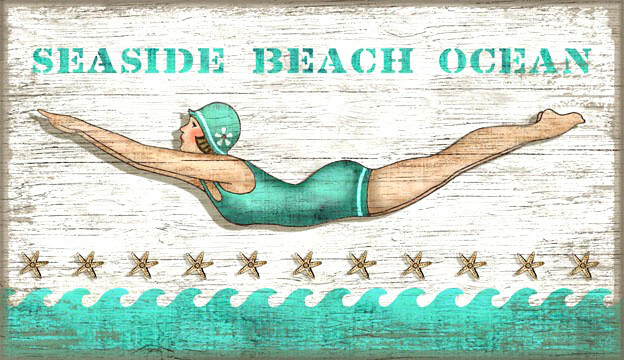 Set the mood with this vintage beach art sign.